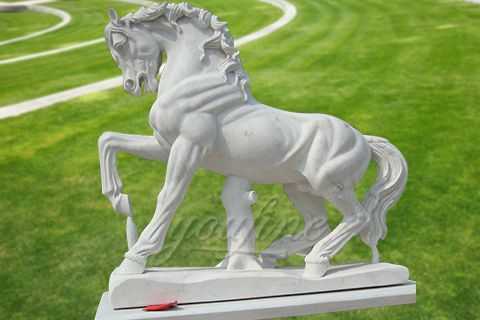 Marble crane statue is peaceful and full of life, this is a lucky animal for you. 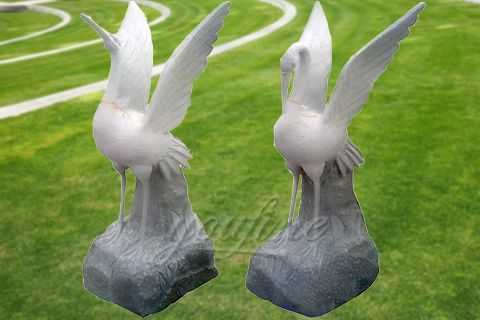 Designed and formed out of our superb marble, the bird couple and landscape here will leave you fulfilled for many years to come. The crane is different from the crane and can inhabit trees. Crane has a lofty position in Chinese culture, especially the red-crowned crane, which is a symbol of longevity, good fortune and elegance. It is often associated with the gods, also known as the “grass crane”. Crane is a general name for cranes and birds. It is a beautiful and elegant large wader. The crane family is divided into two subfamilies, the subfamily, the genus, and the genus. Among them, the genus Helicoptera has 13 genera and 3 species, which are distributed in all continents except South America. In East Asia, there are the most species in China. There are 2 genera and 9 species in China, accounting for more than half of the world’s 15 species of cranes. These nine species of cranes are all national key protected wild animals in China. Heyako has a small toe in the back and cannot hold the top three toes, so it cannot live in the tree. There are 2 genera and 1 genera of the genus Hydra, which is special in Africa. Outside: Strong fumigated wooden cases, at least thickness 2-3cm. 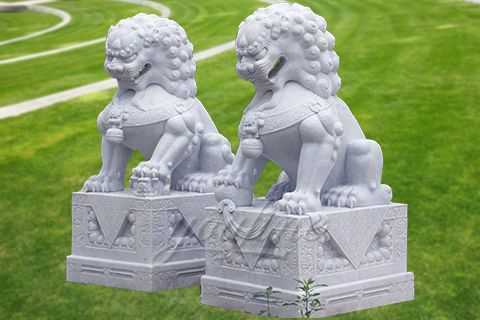 All of our Marble crane statue has our 30-years quality guarantee, which means, if you find any unusual problem with your purchased sculpture, you can quickly approach You Fine for the necessary solution for free. In severe cases, money will be given back in less than 7days. 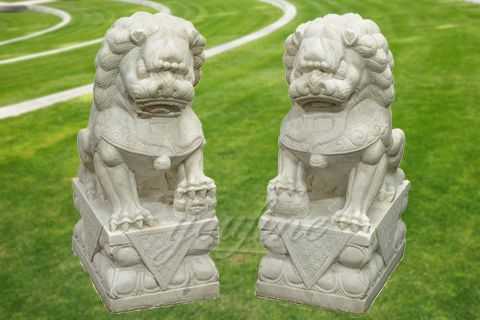 All of our used material the 100% natural stone, including all kinds marble, Sandstone, Travertine, Limestone, Granite and so on. We can customize any item based on those materials for you!